Interactive Physics is a versatile program that allows users to build a wide variety of physics simulations. Interactive Physics is a versatile program that allows users to build a wide variety of mechanics simulations. The robust interface allows the user to build simple or elaborate systems on screen. Build systems made up of ropes, rods, pulleys, gears, springs, various joints, actuators, dampers, motors, and objects of various shape and mass. Having built the physical system, other parameters can be entered: forces, torques, gravitational acceleration, friction, air resistance, spring constants, elasticity, and charge. Clicking the RUN button starts the simulation. The program calculates the motion of the system and displays it in smooth animation. Meters can be selected to display simulation information in graphical or digital format as the simulation runs. 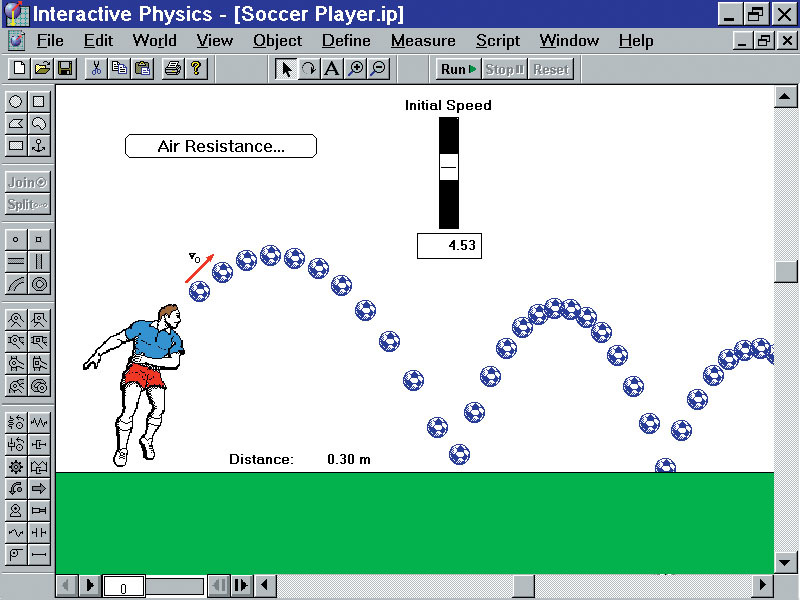 Teachers and students can use Interactive Physics to build and explore physics experiments on the computer. 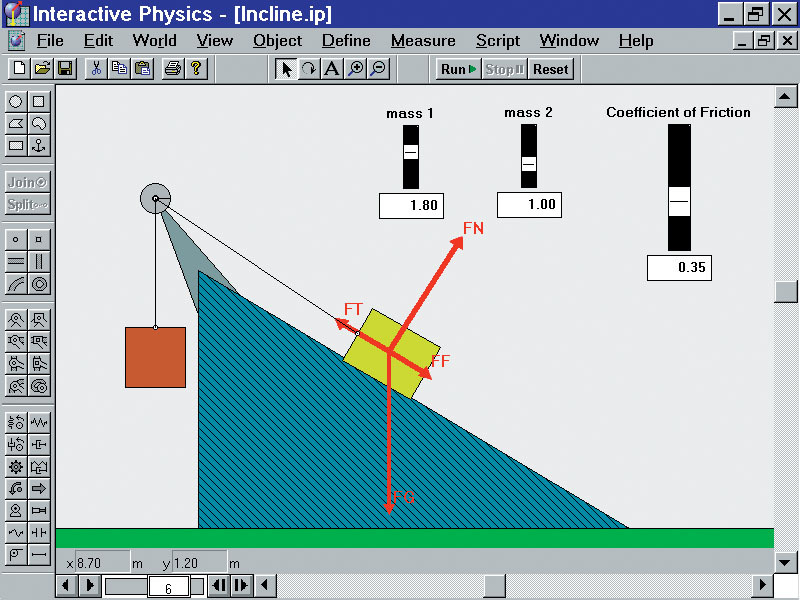 Use Interactive Physics as a lecture demonstration tool. Work a textbook problem on the blackboard and then build it on the computer screen for a full visualization of the solution. Model lab experiments or have students create their own.